Portable electric heaters are a popular solution to warming up a room without the sometimes expensive costs of central heating, but they must be used safely. Electric heaters are often used as a supplement or as an outright alternative to a central heating system ”“ this can be because the central heating system is inadequate, costs too much money to run, or is not present. Although, as long as they are used efficiently, electric heaters can cut costs, there is also an element of risk when they are not used safely and responsibly. 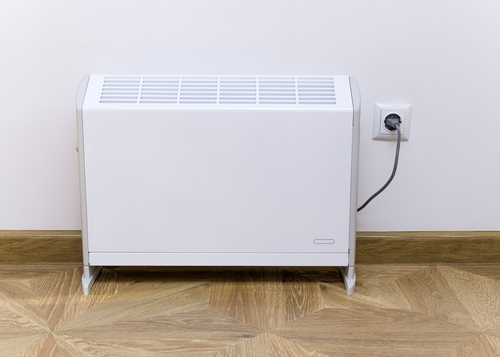 As a general rule, you should never plug electric heaters into an extension cable, especially if you plan on keeping the heater on for a prolonged period of time. A standard plug socket has a maximum capacity of 3000 watts (13 Amps), and most electric heaters will use this amount over an hour. Using other appliances connected to the same extension cable poses the risk of blowing a fuse and damaging either the appliance or source of electricity – due to maxing out the output. Electric heaters rely on materials that have undergone the etching process and, while these will be of the highest quality, they will have a maximum capacity to which they can perform to. When purchasing a new electric heater try to invest in one that is thermostatically controlled so as to avoid overheating a room. Not only will this keep room temperature more comfortable, but it will also cut down on costs of expending more energy than is required. Thematically controlled heaters are also much safer to leave running for a longer period of time as this will avoid the heater from becoming too hot and being at risk of overheating. Regardless of this, you must always keep an electric heater on a level surface and away from combustible items that can easily result in a fire. It can be very tempting to leave an electric heater on while you are out, especially if you do not have central heating to fall back on to have a warm home to come back to; but leaving electric heaters on while unattended is a hazard. Not only does leaving an electric heater on unattended waste energy in warming up a room with no one to feel the benefit, but it opens up the risk of the heater falling over whilst on or overheating without anyone to quickly turn it off. This can, and historically has, resulted in fatal house fires.